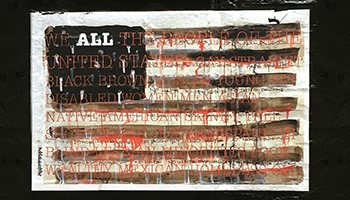 Avant Media and Wild Project collaborate to present an evening of art to benefit the New York Civil Liberties Union. As we move into this new era, we need art more than ever, and we believe in the Freedom of Art. The evening will see performances from Avant faves Eve Beglarian, Randy Gibson, William Lang, John King, and Paula Matthusen, as well as performances by many of the performers and companies, like us, who have called Wild Project a home for experimental art for many years.